There’s a chance to get together with other Cardiff residents and hear and share stories on the first Wednesday of every month at the Cardiff Story museum at the Hayes Old Library Building. Just turn up at 11am. There’s a large turnout here today at the Llandaff Institute as Taylor Wimpey shares its plans to redevelop the site currently occupied by BBC Cymru Wales Broadcasting House and Ty Oldfield, either side of Llantrisant Rd. in Llandaf, Cardiff. Will Phillips, technical director of Taylor Wimpey said he feels the plan opens up an area which is currently closed to local residents. It’s not a gated community and there could be paths through trees, passing an open public space, which neighbouring residents could use to walk or bike through the proposed estate to access the river and the Taff Trail. Some of the other issues I heard raised included: the capacity of local schools, the loss of some trees with existing tree preservation orders, and one resident I spoke with was concerned about the social housing within the plan. Mr Phillips of Taylor Wimpey said the company will be reading and collating all the input from today’s consultation before moving on to the next step of the process. Many readers will be aware of the plans to build new homes on the green land of Radyr Court Road by Nabatean Ltd. 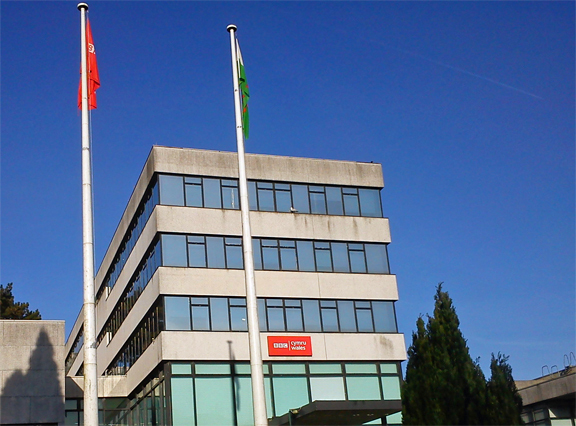 The aptly-named Simon Field of the Save Radyr Court Road group has written to say that the Planning Inspector appointed to make the final decision will visit the site at 2pm on Thursday 12th June 2014. 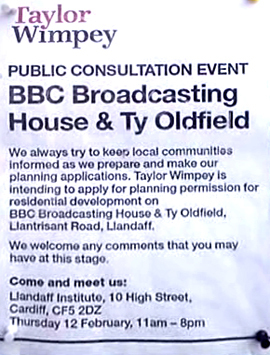 He invites residents who oppose the plans to meet him at 2pm on the same day at the bottom of Spooky Lane at the end of Radyr Court Road. 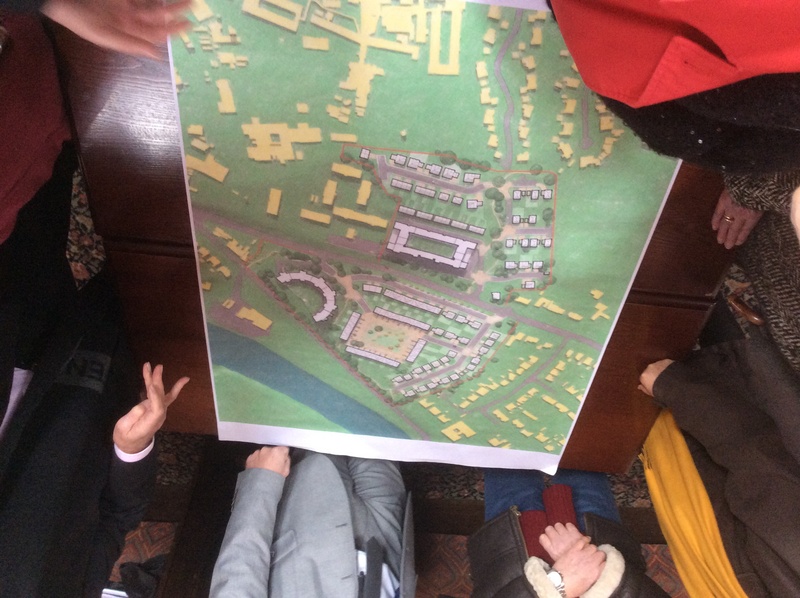 The visit follows the planning inquiry conducted over two days in City Hall, Cardiff, in May. If you want to go along to the appeal inspector’s site visit, go to the bottom of Spooky Lane at the end of Radyr Court Road at 2pm on Thursday 12th June 2014.